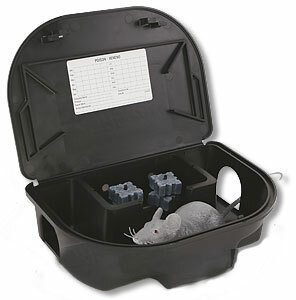 I purchased EZ Klean Rodent Bait Station but there no instruction where to put the bait and what kind of bait . I purchased EZ Klean Rodent Bait Station but there is no instruction where to put the bait and what kind of bait can be used. Did you purchase a single station, or did you purchase a kit with bait? You have to use a rodent bait inside the station. Rodent baits such as Ditrac, Contrac, Fastrac, Final, etc are recommended.